Derrydale Animal Hospital is a full-service animal care facility serving the Brampton community. 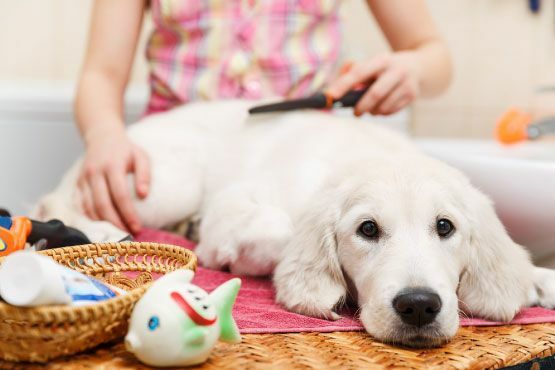 We provide for the basic needs of pets, such as nail trims, pharmacy and food, as well as preventative health services such as exams, diagnostics and vaccinations. Our modern facilities allow us to offer hospitalization for treatments and more complicated surgical options that require an overnight stay. We offer thorough examination and diagnostic tests performed by one of our highly trained veterinarians using an in-house laboratory and on-site radiograph equipment, which allows us to give you same-day results. Additionally, we are unique among clinics in Brampton as we specialize in diagnostics and care for exotic pets. We offer both outpatient and in-hospital therapy for acute and chronic illnesses. If your pet is severely ill or dehydrated, they may be best cared for in hospital. At our facility we can administer IV fluids and medication to your pet, as well as nutritional support and nursing care. While your pet is in the hospital we will be able to perform additional diagnostics as needed (with your consent). We sell a large variety of maintenance and prescription diets for your pets, including Hill's Pet Food, specifically designed for nutrition and weight control, Oxbow and Kaytee® products for small mammals. We stock a supply of prescription medication on-site, allowing you get your pet the medicine they need right away. Even before you get a new pet, you should talk to a veterinary professional at Derrydale Animal Hospital in Brampton about what to expect. We are familiar with a number of different types of animals and will be happy to share our knowledge with you. 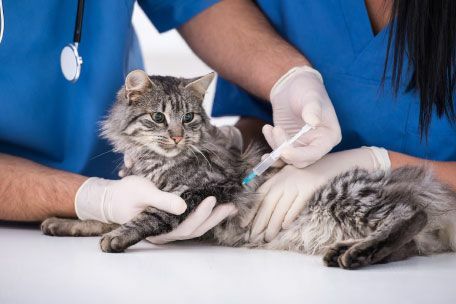 For dogs, cats, rabbits and some other small pets over six months of age, we will also recommend spaying and neutering to prevent both unwanted pregnancy and a range of medical and behavior problems. All pets must have a physical examination prior to the procedure and we highly recommend pre-anesthetic blood testing and intravenous fluids on surgery day. Learn more about how to care for your pet. For after-hours emergencies, please contact our local Veterinary Emergency Clinic at: 905-495-9907.